On the 25th June, QCEA joined the European Commission’s stakeholder conference on the Circular Economy, entitled “Closing the loop, Circular Economy: boosting business, reducing waste”. This star-studded event featured three European Commissioners (including two vice-presidents), Ellen MacArthur (along with various members of her foundation), business and industry representatives, lobbyists, politicians, think tanks, academics and civil society. QCEA attended along with over 700 others from across the European Union, who all came to discuss the circular economy and what the European Commission should do about it. The conference, along with an online consultation, forms part of the European Commission’s “listening phase” on the issue. Although one might hope that the Commission would always be listening to stakeholders, the meeting and consultation represent good opportunities to affect the political process, both for NGOs and for citizens. Overall, there was both encouraging news and indications of potential issues. This highlights the importance that we make our voices heard. Please respond to the online questionnaire if you can: QCEA has written a guide to help you do so which can be found here. Throughout the conference, European Commission bods were overwhelmingly positive about the circular economy. The circular economy is “essential…for sustainability on all levels: economic, social and environmental” said Frans Timmermans, first Vice-President of the Commission. He promised concrete measures, committing the Commission to “a plan that bites”. “The circular economy is an easy sell” proclaimed Environment commissioner Karmenu Vella. 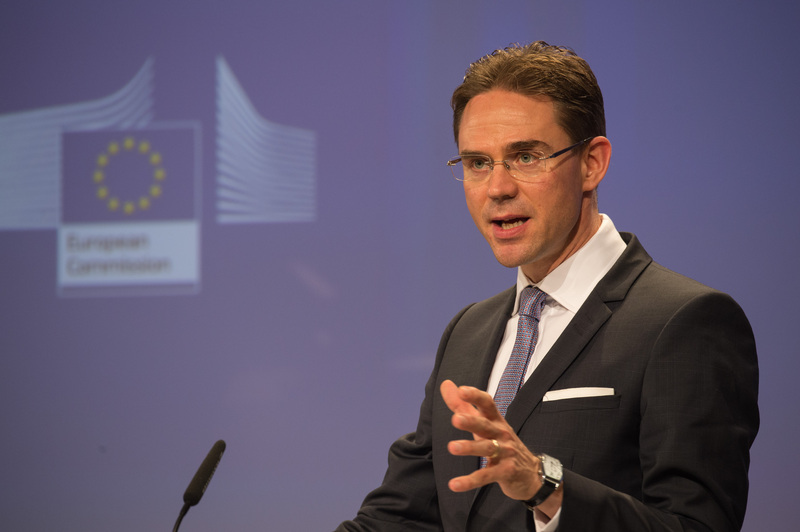 The commissioner responsible for jobs and growth, Jyrki Katainen, affirmed that “the future will be circular.” All preached a message of the Commission’s enthusiasm to help lead the transition to the circular economy. They made it clear that it sits high on their list of priorities, with at least half of the 28 European Commissioners currently involved in some capacity. It was encouraging to see the importance of the circular economy to those highest up in the European Commission. The Commission’s decision to prioritise the economic benefits of the circular economy over environmental positives is disquieting, if unsurprising. Their emphasis is particularly worrisome since there is a risk that the environmental benefits will be lessened or eliminated if the economic elements are heavily favoured. Hearing the Commissioner for the environment dedicate much of his speech to discussing sustainable growth and jobs, and the competitiveness of industry displays the Commission’s perspective on the circular economy. Timmermans too, premised his address on the economic aspects of the circular economy, rather than highlighting the environmental benefits. While it is true that the circular economy should bring economic benefits, local jobs, and make the economy more sustainable, this focus is dangerous. If the circular economy is employed primarily as a tool to stimulate growth of gross domestic product (GDP), then it is highly likely that it will fail to make the economy more sustainable in the long-term. It may create a more resource-efficient system, but it is unlikely to reduce our resource consumption. Another aspect that was simultaneously eye-roll-inducing and worrying was the reference to the dangers of regulation. Katainen sounded a sombre note of caution: “We need to be careful about regulating too much, or regulating the wrong things in good faith.” This bland statement may seem harmless, but underlying it is the problematic attitude that regulation crushes businesses, rather than understanding regulation as directing their activities for society’s benefit. There was little evidence of Timmermans’ promised biting measures from Commission officials. The lack of specifics, combined with anti-regulatory and growth-centric rhetoric, gives rise to concern that our influence may be undermined by the Commission having already reached a decision. A cynical perspective would be that the Commission’s rhetoric shows they have already decided the overarching elements of their new proposals, and they have identified the groups who will help them iron out the details. On the other hand, the details make all the difference, and the fact that they are still to be decided, gives all stakeholders considerable influence. We must make sure that we are the voices that the Commission listens to. There were many voices jostling for prominence on the day, and many premised their arguments on the flaws in our current (linear) economic system. For example, currently an estimated 61 percent of clothing (from the UK, Netherlands and Scandinavia) goes to landfill, when it could be reused or recycled. Martin Stuchtey, a sustainability consultant, pointed to the structural waste in the European economy. 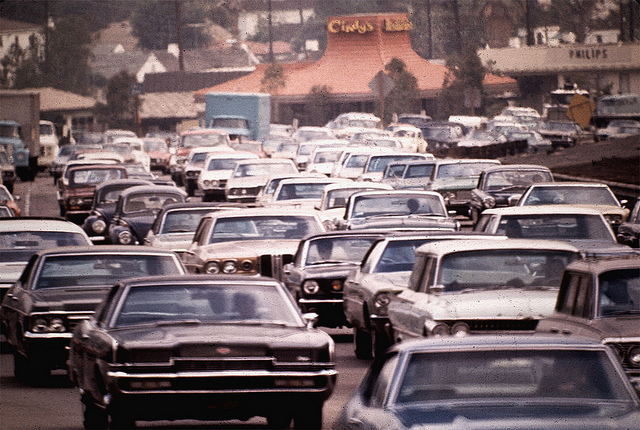 For instance, the average European car is parked 92 percent of the time, and has 5 seats but carries only 1.5 people per trip. The circular economy offers practical measures to eliminate waste, whether through better reuse or repair, or through car-sharing organisations and platforms. There are different perspectives on how to get there, however. Many relatively progressive corporations such as Philips and Unilever are happy to be left to it with as little interference as possible, while many others insist that most economic actors (including Philips and Unilever) will need clearer direction to sustainable practices, than exists currently. One decision-maker (and representative of citizens) who, unlike the Commissioners, did give concrete details on how to implement the circular economy, was Finnish MEP Sirpa Pietikäinen. Rapporteur on the European Parliament’s circular economy report, she emphasised the crucial role of regulation in creating a level playing-field, encouraging investment, and obliging businesses and governments to act. She called for legally binding universal targets and indicators to be implemented across the EU to level that playing-field. Regarding waste, she identified three priorities; “[waste] prevention, prevention, prevention”. She stressed the need for market incentives and regulations to ensure the waste hierarchy is followed. All the while she insisted that regulation is in itself no bad thing. On the contrary, she said, the circular economy will not happen without it. So, as the circular economy circus rolls on, there will be more opportunities for advocacy. Perhaps even in the Commission’s listening phase, it will hear only what it wants to hear. But we cannot know that, and the only way to affect their decision is to make our voices heard whenever we can. The online consultation, which closes on the 20th August, is one such opportunity. In order to help make sure European decision-makers hear your voice, QCEA has written a guide to help you respond to the questionnaire, which can be found here. It is vital that the Commission hear a chorus of citizens and NGOs calling for the EU to lessen Europe’s impact on the environment by reducing our resource consumption, rather than simply continue the pursuit of exponential growth on a modified (circular) path. The more of us who speak up, the more likely the Commission will hear us, loud and clear.